This weekend I had the opportunity to speak at the 3rd occasion of the WordCamp Lehigh Valley. My topic, WordPress Security, was directed to those new, or not-so-new, to managing or creating their own websites in WordPress. 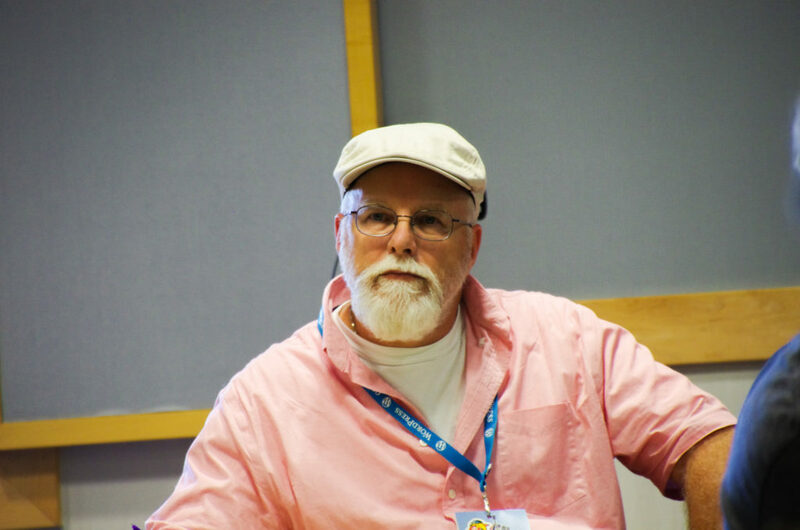 I have attended the two previous Lehigh Valley WordCamps, and the event is growing every year. It is organized and managed by good people who provide an exciting conference. Below are a couple of tweets related to my presentation. Once the video of my talk is published on wordpress.tv I’ll update this post with the link. Photo credit: WordCamp Lehigh Vally website – Carol Bell / cbell7153. I attended WordCamp Lancaster on Saturday. This is my 3rd WordCamp since June of 2014 (4 if you count WC San Francisco which I “attended” via the streaming ticket). I was telling my wife this morning that I come away from these conferences with such excitement and renewed energy. I’d have to say that it’s truly a combination of the entire experience. While Joe Casabona did get things kicked off with style and humor, and Sarah Moyer helped flick the switch in my mind about Genesis hooks, filters and actions, I think that I was most inspired by Charlie Reisinger‘s keynote on how his school district is using open source software to enable their students to learn new skills, interact more and push their teachers to new levels, all while working within the confines of a very tight education budget. If you think about it, isn’t that the heart of Exploring New Opportunities for everyone? I mean, if you can inspire high school students to get engaged, and to try something new, on their own, regardless of peer pressure, you have ignited the spark of opportunity-think at just the right point. I left the event feeling very inspired, and it gave this well-past-high-school entrepreneur a fresh outlook on business, supporting others and stepping out of the comfort zone. Thanks to the #wclanc organizers for an awesome event, and to Andy Stitt for pulling together the #genesiswp mini-meetup. It was a most awesome event. I attended my first WordCamp this weekend. 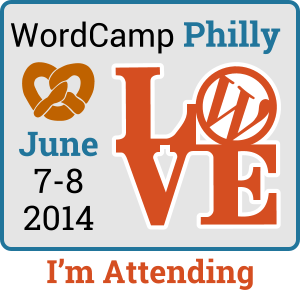 WordCamp Philly 2014. Not like any industry convention I had ever attended. There was so much support, recommendation, sharing, and help. Not any of the dog-eat-dog, uber-competitive business environment I am used to. I’m not sure yet if this is related to the open-source aspect of WordPress, or if this is a commentary on the WordPress community itself. Whichever it is, it feels comfortable. It feels supportive. It feels empowering. It feels like a place I want to be. It feels like a community that will enable me to take my introductory knowledge of WordPress, PHP and the LAMP environment, and grow it into a sustainable business that not only can support my family and I, but give me the opportunity to support others, to give back, and join a community of like-minded technologists. Thank you WordCamp Philly for enabling me to feel at ease with this path I find myself on. I look forward to becoming a contributor. Badge design by Tracy @ Yikes, Inc.